Are you looking for a memorable getaway this Easter? Rent a car and set out on one of these exciting Easter-themed road trips. Locations like Washington, Orlando, New York City, Chicago and Louisiana will be the center of all the action this Easter. VroomVroomVroom has put together some road trip itineraries to help you plan your Easter holiday. Each year, Washington, DC hosts plenty of exciting events for Easter. The Easter Egg Roll, held usually on the White House South Lawn remains the highlight of the celebration. There’s live music, cooking lessons and storytelling too. Many popular tourist attractions such as the National Zoo, National Gallery of Art and Mount Vernon Estate and Gardens are open on Easter Sunday. Where to stay? Some of the best places to stay in Washington, DC are at the National Mall, Downtown and Capitol Hill. There are plenty of memorials to visit in DC. The National Mall, as well as the Lincoln Memorial, the Washington Monument, and the Jefferson Memorial are considered the most famous ones. The Air and Space Museum, Natural History Museum and the American History Museum, and the Museum of African American History and Culture are three of the most popular museums in DC. 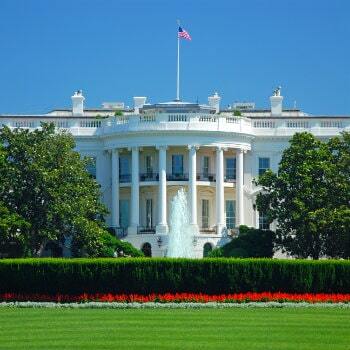 Open to all, including visitors to the U.S, touring the White House is the highlight of most visits to DC. Getting there: If you will be arriving via Ronald Reagan Washington National Airport, you can rent a car from there and head to The White House. The airport is only 15 minutes away via George Washington Memorial Pkwy. But you can also take the 17th St route. Expect big crowds and prices if you are planning to visit the tourist capital of the world, especially the favorite Walt Disney World Resort. During Easter week, the city is home to several shows, match with amazing food and great performances which adults will actually enjoy. Where to stay? 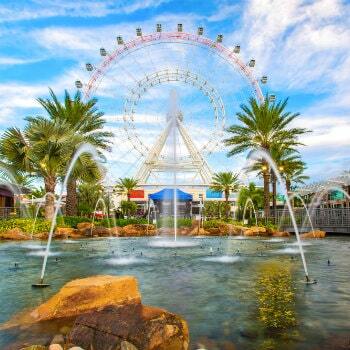 There are several accommodation options in Orlando - from luxury, mid-range and budget. If you are looking for a romantic getaway, then Waldorf Astoria Orlando is a great choice because it is close to the Disney parks complex. For first-timers wanting to get to know the city a little better, make sure to visit the Church Street. Head to the amazing ICON Orlando and enjoy awe-inspiring views of the city. Or you can explore Cape Canaveral and have an awesome experience at the Kennedy Space Center. Situated in the heart of Downtown Orlando, the beautiful Lake Eola Park is easy to reach, and just east of the central Lake Eola, you'll find Thornton Park. Getting there: If you will be arriving via Orlando Airport, you can rent a car from there and head to Downtown Orlando. The airport is only 21 minutes away via FL-436 and FL-408 W.
For an exciting Easter break, New York City is the place to be. If you're traveling with children, head to Long Island and take part in an Easter egg hunt. The Queens County Farm hosts a number of events for children, including the Barnyard Egg Hunt throughout the orchard. The kids can also meet farmyard animals, and try their luck at an egg rolling game. Don't forget to head into the city to see the annual Easter Parade. For an Easter egg hunt in a historic setting, head to Richmond Town on Staten Island. Where to stay? Select from luxury hotels in Manhattan to downtown holiday apartments and boutique hotels according to your taste and budget. Wear your best Easter bonnet to the center of the festivities on Fifth Avenue. Go ice skating with the Easter bunny in the Rink at Rockefeller Centre. Watch a few Broadway shows or see Opera and Ballet at Lincoln Center. 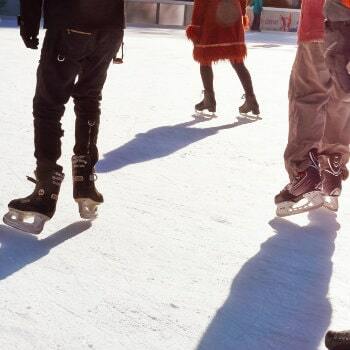 Click here for Best Road Trip Itineraries from New York. Getting there: If you will be arriving via JFK Airport, you can also rent a car from there and go on a 40-minute drive via Belt Pkwy to get to Richmond. Louisiana puts on a big show for Easter. With plenty of exciting events in and around New Orleans, it is the perfect place to pick up your rental car and take a road trip. Drive through the state, participating in all the best Easter events while checking out the unique scenery. In New Orleans, families can take an Easter-themed cruise along the Mississippi River on the Paddlewheeler Creole Queen. Where to stay? You'll find a selection of affordable and luxurious choices in Louisiana. If budget is your top priority, you may book at Studio 6 New Orleans, The Treme Hotel, Grenoble House and Hotel Villa Convento in New Orleans. Stroll around the French Quarter in New Orleans and see some art at Jackson Square. Find time as well to admire art at the New Orleans Museum of Art. 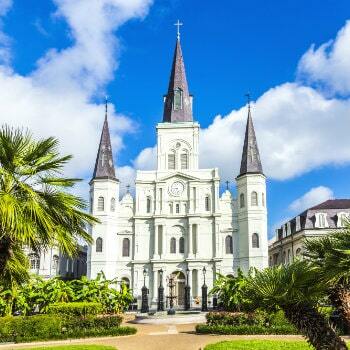 Adore the St Louis Cathedral and have fun at the Louisiana Children's museum. Get up up close and personal with animals at the Audobon Zoo. Sample some New Orleans food and visit the famous 1850 House. Getting there: You can book a car rental in Louisiana and go on a two and a half drive to reach New Orleans via I-10 E.
If you have few days (or weeks) left to explore in the USA during Easter, a historic Route 66 road trip from Chicago to Los Angeles is the perfect choice. Where to stay: There are plenty of hotel options to choose from Chicago to Los Angeles to suit your style and need. In Chicago, you might like to stay in a budget-friendly hotel. There are also cheap hotels in Los Angeles worth a stay. Take a walk through Millennium Park and find time to enjoy the Chicago skyline from Lake Michigan. For more popular scenic drives, click here. Cross the famous Rainbow Bridge in Baxter Springs as you continue into Kansas. The unique Cadillac Ranch in Texas is also worth a stop. Upon crossing the Arizona border, don't miss the stunning Petrified Forest National Park on Route 66. Stop in at Elmer's Bottle Tree Ranch and watch the sunset from Santa Monica. 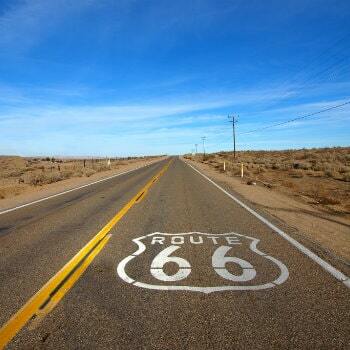 Read our ultimate road trip itinerary on Route 66 here. Getting there: Starting in Chicago, Route 66 runs through Illinois, Missouri, Kansas, Oklahoma, Texas, New Mexico, Arizona and ends in Los Angeles, California.